We hope you’re enjoying the anticipation of Easter this season! Over the last two weeks Karen and Jim Covell visited New York and Washington, D.C. – where the cherry blossoms are in full bloom! – and were reinvigorated by the passion in those cities for creative Christians to build community and pray together. We can’t wait to see what God does to grow our HPN family on the opposite coast and around the world! Praise God for the community of creative professionals in New York City, and pray that it will continue to grow! During Karen and Jim's visit, they witnessed a strong desire for the Christians there to connect, strengthen and grow. HPN is trying to build its NYC creative community and would love to hear from you if you are a New York City professional in theatre, film, TV, music, fine arts, etc. We hope that you let us know if you are one we can be praying for and encouraging. "God, you speak to us in countless wonderful ways. We remember today especially the life of the theater, a wonderful and sacred mystery, for countless years the precious possession of your people. We thank you for playwrights, directors, actors and technical staff. We bless you for their commitment and hard work, their struggle to hold up a mirror to reality." — From the "Cycle of Prayer for Episcopal Schools"
Pray for those involved in and affected by the recently publicized college admissions scandal. In the midst of this situation, let us not turn to judgment for all of Hollywood, but recognize that there are broken people there – and everywhere – who need our prayers. Pray for the Lord to intervene and heal all who are affected by their decisions and actions. Pray also for the integrity and truth of God to prevail over the motivations of money and status, both in Hollywood and throughout our country and world. HPN members at Warner Bros. have asked us to pray for their company as they search for a new CEO. This job opening came as a surprise after the former CEO, Kevin Tsujihara, stepped down following an investigation into misconduct. Pray for God to bring the right person into this position and to prepare them for a smooth transition that will ease the worries of the Warner Bros. employees. Let's cover this new CEO in prayer even before they are chosen so that they and all of Warner Bros. will experience God's love and powerful presence! Let's continue praying for the Disney/Fox merger and the enormous influence it is having on our industry. As many as 4,000 employees are losing their jobs in the process of this merger. Pray for each and every person who was laid off, many of whom — as the article below explains — likely won't be able to find another job in the entertainment industry. Let's ask God to reveal to them their next steps, how to navigate their abruptly changing careers, and how to supply for their families. Pray for God to continue to guide the decisions and actions within Disney and Fox in the weeks to come. The structure of entertainment is changing rapidly, especially due to the rise in streaming services and digital media. Top executives are changing jobs often and facing high expectations as the largest entertainment companies attempt to reinvent themselves for the streaming era. Let's pray for the people who are shuffling in and out of these incredibly influential positions — jobs that are innately stressful and high-pressure. Pray for the Lord to guide these decision-makers, and to protect them and their families from the damaging stress of their roles as entertainment leaders. Proving even further the rising influence of streaming and digital media, Netflix has been named the fastest-growing brand in the United States this year. Let's pray for employees and creators at Netflix to recognize the responsibility they have as powerful influencers in our culture. Pray for God's love and truth to be represented through the Christians who work at Netflix, so that the staff there will experience the influence of Jesus in a way that changes how they live and work. Thank you so much for praying with us for Hollywood! We continue to be reminded of the importance of connecting our global prayer and creative community. This month we had a musician from Portland, Oregon ask if there were other creative professionals in her area. If you are a person of prayer or a creative person from the Oregon or Pacific Northwest area, please email erin@hpnemail.org and we'll connect all of you. God works miracles among his community of followers! Join the HPN Hollywood chapter for a Christ in the Passover presentation by Jews for Jesus. RSVP to HollywoodChapter@hpnemail.org. "God seems to do nothing of himself which he can possibly delegate to his creatures. He commands us to do slowly and blunderingly what he could do perfectly and in the twinkling of an eye." "I no longer call you servants, because a servant does not know his master's business. Instead, I have called you friends, for everything that I learned from my Father I have made known to you. You did not choose me, but I chose you and appointed you so that you might go and bear fruit—fruit that will last—and so that whatever you ask in my name the Father will give you." 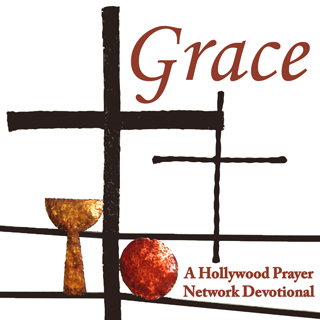 HPN's newest YouVersion devotional on SIMPLICITY is now available. Oh, how complicated and stressful our lives can be! Yet God tells us He wants us to live simpler, more peaceful lives. He MAKES us lie down in green pastures, which shows we're not very good at it on our own. Let's spend this week seeking simplicity in our lives and be free of the things that are weighing us down. He's offering us a simple life. Let's accept it!